Welcome to the tenth installment of the Haunted Montreal Blog! Released on the 13th of every month, the February edition focuses our research we are carrying out into the Eden Musée site at the Monument-National. Lurking in the basement of the grandiose Monument-National, one of Quebec’s oldest and finest theatres, is a dark drama studio that is rumoured to be haunted. Presently branded the “Studio Hydro-Québec”, the building’s basement has a very bizarre and unsettling history. It is the site of the infamous Eden Musée, a Victorian waxworks museum where visitors could experience some of the era’s most deranged crime scenes and enjoy weird and disturbing artifacts, including at least one freakishly tall human corpse. In 1894, Montrealers were treated to the opening of the bizarre new museum. Located beneath the busy Monument-National theatre, the Eden Musée offered an unparalleled experience into the mysterious and satisfied a taste for the sensational. The grandiose front entrance of the Eden Musée was made of rare-looking wood and had colored glass embedded throughout. A clerk with a gold-trimmed costume took a ten-cent entry fee. Upon entering, guests were treated to a magnificent art gallery where a wax statue of Her Majesty the Queen, in court dress and jewelry, reigned above the crowds. Nearby, also cast in wax, was His Holiness Pope Leo XIII, wearing pontifical garments. Numerous artworks were generously displayed on the walls. There was also a Théâtrorium, an intimate 200-seat theatre with “wonderful performances” set every hour, including live concerts, farces, plays and other presentations. 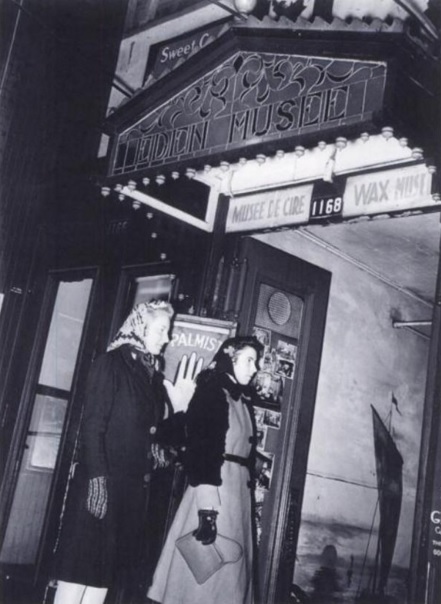 Eventually, as technology advanced, Eden Musée began offering silent films and other projections. The museum also employed a special police force to maintain order in the exhibitions and to ensure women and children could visit without fear of harassment or molestation. With frequently changing exhibitions, guests never knew what was in store for them at the Eden Musée. 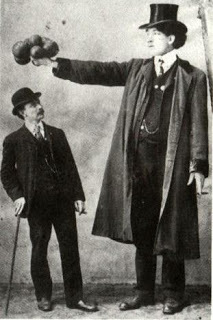 One of Eden Musée’s strangest attractions appeared in 1905, when the corpse of the world’s tallest man, Beaupré the Giant, was put on display. At 8-foot-three-inches, the cadaver became a major tourist attraction, an embalmed human specimen among the waxwoks. Édouard Beaupré was born in the southern Saskatchewan town of Willow Bunch on January 9, 1881. An aspiring horseman, he had to give up the trade at 17 because, at 7-foot-1-inch, he had grown too tall to ride a horse. His freakish growth continued until he finally reached a towering height of 8-foot-three-inches. Beaupré abandoned life on ranch and launched into show business, demonstrating his strength by bending iron bars and lifting horses onto his shoulders. He toured from Winnipeg to Montreal and stayed for a time In California. While in Montreal, on March 25, 1901, Beaupré wrestled Louis Cyr, a famous French-Canadian strongman, who was regarded as the strongest man to have ever lived. While Cyr easily won the match, Beaupré’s reputation as a strongman only increased. He was very much in demand by the numerous travelling circuses, museums and freakshows of the era. On July 1, 1904, Beaupré signed a contract with a circus promoter to appear at the St. Louis World’s Fair. However, shortly after arriving in Saint Louis, Beaupré contracted tuberculosis, which quickly resulted in a high fever. Only 23 years old, he became gravely ill and died suddenly at a local St. Louis hospital only two days after signing the contract. His family had been unable to afford the costs of transporting his body home to Saskatchewan, so the circus requested that his corpse be embalmed – in order to display it. In death, Beaupré was more popular than ever. 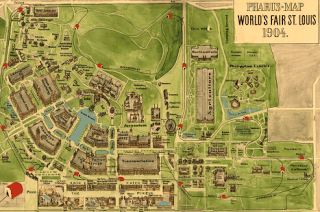 His towering, embalmed corpse drew huge crowds at the St. Louis World’s Fair and was the envy of many circuses, freakshows and museums. 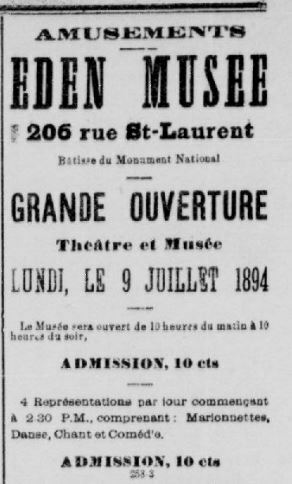 Eden Musée was somehow able to obtain the body of Beaupré the Giant, and had the cadaver transported to Montreal in 1905. The deceased, embalmed giant was put on display amongst the waxworks, despite assurances to avoid “vulgar and offensive” displays. The macabre exhibit proved to be extremely popular. Huge crowds began to overwhelm the museum, in hopes of catching a glimpse of the dead giant. 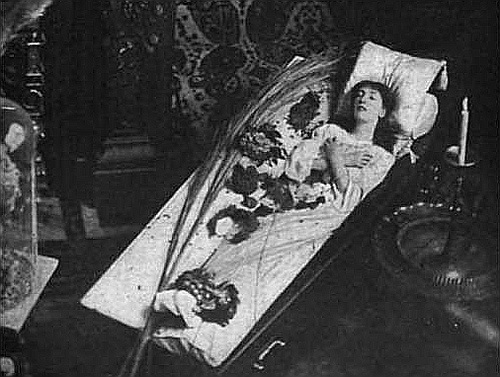 After crowds became too large and unruly, managers were forced to remove Beaupré’s corpse from the exhibition. His body was left abandoned in a warehouse and eventually it was claimed by the University of Montreal for research purposes. Doctors, professors and medical students, no doubt fascinated by his freakish anatomy, proceeded to perform various medical experiments on the body, some of them surgical. Beaupré’s corpse was finally repatriated to Saskatchewan in 1989, after his family overcame numerous bureaucratic obstacles to get the cadaver back from the University of Montreal. Beaupré’s corpse had been seriously compromised, no doubt after decades of medical experiments, so family members had him cremated before finally burying his ashes, 85 years after his death. 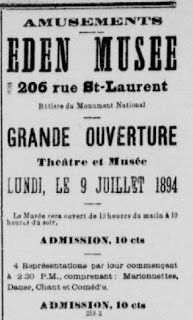 Meanwhile, Eden Musée was closed in 1940 after it was deemed too tawdry by the St. Jean Baptiste Society, the owners of the Monument-National. The organization representing francophone Catholics had commissioned the theatre’s construction in the 1890s as a monument to celebrate the glory of the French-Canadian “nation”. The striking building, designed with a Neo-Renaissance façade, officially opened it on June 24, St. Jean Baptiste Day, 1893. Over the years, the Monument-National witnessed all sorts of incredible performances. Located on the Lower Main, an area that was in the process of becoming the Jewish district of Montreal, the Monument-National “soon established itself as a hotbed of creativity, innovation, debate and performance that made it one of the most important multi-ethnic community and cultural centres in America.” Famous 19th century celebrities performed in the huge auditorium on the first floor and a burlesque theatre called “The Starland” occupied the ground floor. 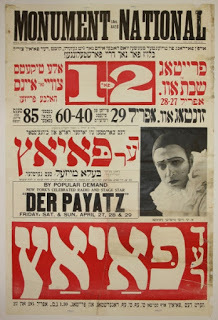 The Monument-National also hosted feminist performances and Yiddish theatre and is regarded as the birthplace of the struggle to establish women’s voting rights in Quebec. Following the Second World War, the Monument-National began a long, downward spiral. The Lower Main had blossomed into Montreal’s sketchy Red Light District, characterized by brazen prostitution, overt gambling, and trafficking of all kinds. 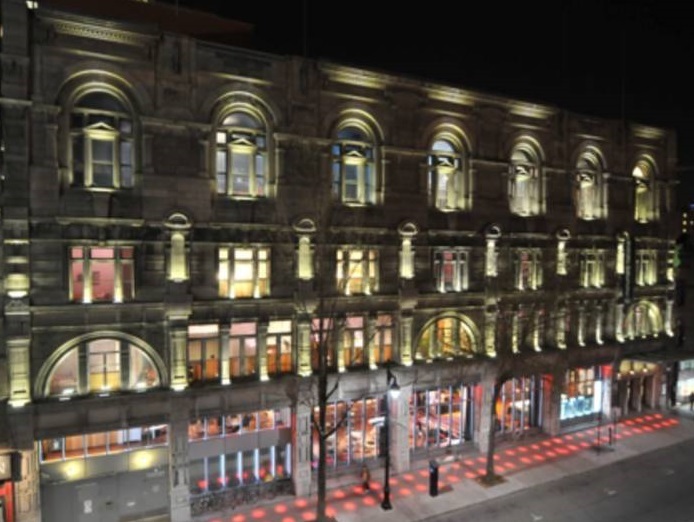 Audiences opted to attend the larger, safer and more comfortable theatres located on Ste-Catherine Street, leaving the Monument-National to sink into oblivion. The St-Jean Baptiste Society, which was struggling financially at the time, moved out in 1976. For a time, it seemed inevitable that the Monument-National would be demolished. After miraculously avoiding the wrecking ball several times, the Monument-National was officially designated as a “valuable cultural property” in 1976. 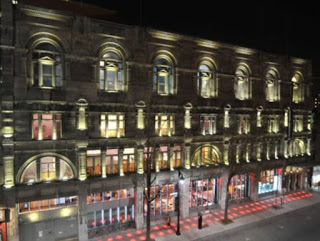 The National Theatre School of Canada took control of the building and carried out a full restoration from 1991 to 1993. Today, an intimate theatrical studio sits in the basement where Eden Musée once flourished and, according to staff and students, this part of the building is haunted. There are reports of pipes inexplicably banging and strange noises erupting in the basement studio. According to an article in Journal Métro, the school’s Technical Director, Yves Duceppe, was very reluctant to go there alone when he was a student from 1979 – 81. At the time, the dark, un-renovated basement was creepy and infested with rats and insects. He never ventured there alone. Apparently, despite being converted into a versatile theatrical studio, the mysterious hauntings continue. Many of the students report unsettling feelings of unease and of being watched by someone or something hiding in the studio’s dark recesses. Furthermore, two floors above the studio, there are also numerous reports of a ghostly woman appearing at the top of the stairs leading to the main theatre of the Monument-National. There are whispers among theatre students that the ghost haunting the Monument-National is none other than Sarah Berhardt, one of the greatest French actresses of her era. Bernhardt was known to play in Montreal and Quebec City and had a reputation for upsetting Catholic authorities with performances that were critical of the Church. The theory suggests that Bernhardt haunts the Monument-National because in 1905 she had wanted to play there, but due to financial constraints, had to play at the cheaper Théâtre Français instead, a mere five minute walk away in what is today Club Metropolis. Despite being referred to as “the most famous actress the world has ever known”, Bernhardt was an extremely eccentric actress. She had several strange phobias, including the fears of being buried alive, becoming thin, growing old on stage and losing her fascinating and almost uncanny beauty. To overcome her fear of premature burial, Bernhardt was known to sleep in an uncomfortable coffin for several years. She also kept the skeleton of a man, whom she said had died from love, hung before the mirror in her creepy boudoir, with its finger pointing at its own reflection. When Bernhardt died in 1923, from uremia, the funeral arrangements were simple. She had had her tomb built decades before her demise, in 1889, in Paris’ Cimetière du Père Lachaise. Could her ghost have returned to the grandiose Monument-National, a theatre she had always wanted to play at? The ghostly image seen at the top of the theatre’s main staircase could be a match. However, what of the mysterious noises, including banging pipes and upsetting feelings, that haunt the “Studio Hydro-Québec”? It seems unlikely that the ghost of a demure actress could cause such a ruckus. Perhaps a more feasible theory is that noises are caused by the spirit of Édouard Beaupré, the giant whose embalmed cadaver was unceremoniously put on display amongst the waxworks in the old Eden Musée. Generally-speaking, the Dead do not like to be disrespected, whereas Beaupré’s remains suffered numerous indignities. Denied a proper burial with family in Saskatchewan and pumped full of formaldehyde, his corpse was transformed into a freakshow curiosity to be bartered and shipped to the highest bidder. From the Saint Louis World’s Fair to the Montreal’s Eden Musée, Beaupré’s remains would be continuously gawked at by thrill-seekers until ultimately abandoned in a dusty warehouse. Reclaimed by medical staff at the University of Montreal, his corpse would suffer many more indignities until finally reclaimed by family in 1989. Édouard Beaupré, a giant and strongman in life, would certainly be capable of making a lot of noise. 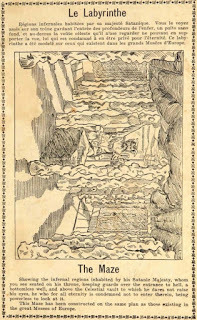 As such, perhaps a more realistic theory about the ghost haunting the basement studio is that the restless spirit of Beaupré the Giant remains, constantly reminding those who dare to enter the studio about his unnatural ordeal by banging pipes, making noises and glaring at spooked people from dark nooks and crannies. After all, being denied a proper burial for 85 years is good reason to make any spirit restless and inclined to haunt locations where their remains were disrespected. Over the next few months Haunted Montreal plans to expand for the 2016 season. Our goals are to reconfigure our website in order to improve it, to create a new box office system, to hire more actors and to have all of our tours available in both English and French. We plan to open our 2016 public season of ghost walks in May. 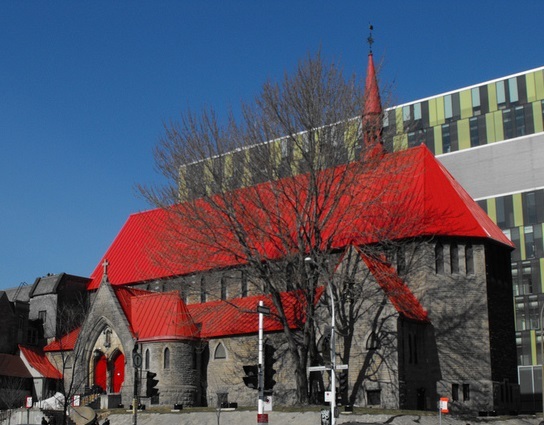 Located in the heart of Montreal’s new Quartier des Spectacles, St. John the Evangelist Church stands out with its striking red roof. What thousands of tourists streaming by it during festival season likely don’t realize is that the Anglo-Catholic church with the red roof has long been rumoured to be haunted. However, instead of unsettling cold spots and other unpleasant paranormal manifestations appearing, the spirit haunting the church is said to be gentle. Indeed, comforting “warm spots” are known to materialize, leading parishioners to speculate that the ghost might be that of the church’s selfless founder, Rector Edmund Wood, who died in 1909. He is said to still visit now and again to check up on the church’s flock. The ghost is not regarded as sinister, but rather is seen as a happy reminder that the church’s first patron still appears to be involved in the ministry. Il a jadis accueilli le dérangeant Eden Musée, un musée de cire Victorien où les visiteurs pouvaient découvrir certaines des scènes de crime les plus éprouvantes et apprécier d’étranges et inquiétants artefacts, comme le cadavre d’un homme anormalement grand. En 1894, les Montréalais furent confrontés à l’ouverture d’un nouveau musée bizarre. Situé sous le théâtre achalandé du Monument National, l’Eden Musée offrait une expérience mystique inégalée et satisfaisait les amateurs de sensationnel. La grandiose entrée principale de l’Eden Musée était faite de bois rare et de verre coloré entremêlé. Le droit d’entrée de dix cents était récolté par un commis au costume orné d’or. Dès l’entrée, les invités avaient droit à une magnifique galerie d’art où trônait sur la foule une statue de cire de Sa Majesté la Reine, en robe de tribunal et pleine de bijoux. Non loin de là, également coulé dans la cire se trouvait Sa Sainteté le Pape Léon XIII, vêtu des vêtements pontificaux. De nombreuses œuvres d’art ornaient généreusement les murs. Un peu plus loin se trouvait la Chambre des Horreurs, où les invités rencontraient parmi d’autres étrangetés, les lutins de Satan, un homme sclérosé, des momies du Mexique, le squelette d’un « enfant-diable » né avec les pieds et la queue d’un veau et la réplique d’une fumerie d’opium. Diverses scènes de meurtre étaient également recréées et certains des criminels les plus notoires de la société y étaient coulés dans la cire. Le musée offrait fièrement des reproductions réalistes de l’assassinat de Rawdon, du meurtre de St. Canut, du mystère de St. Henry, de l’assassinat de Valleyfield, de la tragédie de St. Cunegonde, du Dr. Crippen et de Jack l’Éventreur. Une autre exposition populaire mettait en vedette un gorille enlevant une femme après avoir tué son mari, tandis que dans la « Cuisine du Diable » les invités pouvaient observer « Satan et ses lutins en train de faire rôtir un humain au-dessus d’un grand feu. Il y avait également un Théâtrorium, un théâtre intime de 200 places qui donnait « de magnifiques performances » à chaque heure, telles que des concerts en direct, des farces, des pièces et d’autres représentations. Ultimement, avec la technologie de pointe, l’Eden Musée se mit à offrir des films muets et d’autres projections. Le musée employait également une force de police spéciale pour maintenir l’ordre dans les expositions et s’assurer que les femmes et les enfants pouvaient faire leurs visites sans crainte d’être harcelés ou agressés. Avec le constant renouvellement des expositions, les invités ne savaient jamais à quoi s’attendre en venant à l’Eden Musée. L’une des attractions les plus étranges de l’Eden Musée fut son apparition en 1905, quand le corps du plus grand homme au monde, le Géant Beaupré, fut ajouté à l’exposition. Le cadavre de 8 pieds 3 pouces devint alors une attraction touristique majeure. Édouard Beaupré est né dans la ville de WillowBunch au sud du Saskatchewan le 9 janvier 1881. Cavalier en herbe, il dû abandonner le commerce à 17 ans car à 7 pieds 1 pouce il était devenu trop grand pour monter à cheval. Sa croissance déroutante continua jusqu’à ce qu’il atteigne finalement la taille de 8 pieds 3 pouces. Beaupré abandonna sa vie sur le Ranch et se lança dans le show business, exhibant sa force en soulevant des barres en fer et des chevaux avec la force de ses épaules. Il fit une tournée de Winnipeg à Montréal et resta quelque temps en Californie. Alors qu’il était à Montréal le 25 mars 1901, Beaupré lutta contre Louis Cyr, un célèbre homme fort Franco-Canadien qui était considéré comme l’homme le plus fort ayant jamais vécu. Bien que Cyr remporta facilement le combat, la réputation d’homme fort de Beaupré décolla. 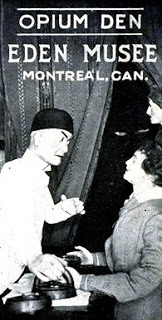 Il était très en demande par les nombreux cirques ambulants et les exhibitions de monstres de l’époque. Le 1er juillet 1904, Beaupré signa un contrat avec le gérant d’un cirque pour faire des apparitions à la Foire Mondiale de Saint-Louis. Cependant, peu de temps après son arrivée à Saint-Louis, Beaupré contracta la tuberculose, qui se matérialisa rapidement en forte fièvre. À seulement 23 ans, il devint gravement malade et décéda subitement à l’hôpital local de Saint-Louis, seulement 2 jours après avoir signé son contrat. Sa famille n’était pas capable de payer les frais pour rapatrier son corps en Saskatchewan donc le cirque demanda à ce que son cadavre soit embaumé. Une fois mort, Beaupré fut plus populaire que jamais. Son immense corps embaumé attirait d’immense foule à la Foire Mondiale de Saint-Louis et créait l’envie auprès de nombreux cirques, foires au monstre et musées. L’Eden Musée trouva un moyen d’acquérir le corps du Géant Beaupré et le cadavre fut transporté à Montréal en 1905. Le défunt géant embaumé fut exposé au sein des personnages de cires. La macabre exposition s’avéra extrêmement populaire. Des foules immenses ont commencé à déferler au musée, dans l’espoir d’entrevoir le géant mort. Les foules devinrent trop indisciplinées et les gérants furent contraints de retirer le corps de Beaupré de l’exposition. Son corps fut abandonné dans un entrepôt avant d’être finalement réclamé par l’Université de Montréal pour des fins de recherche. Les médecins et étudiants en médecine, sans doute fascinés par sa déroutante anatomie, procédèrent à diverses expérimentations sur le corps, dont des opérations chirurgicales. Il a fallu attendre 1989 pour que le corps de Beaupré soit finalement rapatrié auprès de sa famille en Saskatchewan, après qu’elle ait dû surmonter de nombreux obstacles bureaucratiques pour le soustraire à l’université. Le cadavre de Beaupré était sérieusement endommagé, ce qui n’avait rien d’étonnant après des décennies d’expérimentations médicales, si bien que les membres de sa famille durent se résoudre à l’incinérer avant de l’enterrer, 85 ans après sa mort. L’Eden Musée fut fermé en 1940 après qu’il eut été jugé trop tapageur par la Société de Saint-Jean-Baptiste, propriétaire du Monument National. L’organisation qui représentait les catholiques Franco-Canadiens avait élevé la vocation du théâtre en 1890 au rang de monument pour célébrer la gloire de la « nation » Franco-Canadienne. L’impressionnant bâtiment arborant une façade de la Néo-Renaissance, ouvrit officiellement ses portes le 24 juin 1893, jour de la Saint Jean-Baptiste. Au fil des années, le Monument National vit toutes sortes de performances incroyables. Situé sur la partie basse de la Main, une zone qui était en train de devenir alors le quartier juif de Montréal, le Monument National « s’imposa bientôt de lui-même comme un foyer de créativité, d’innovation, de débat et de performance, ce qui en faisait un des plus important centre communautaire multi-ethnique et culturel d’Amérique. » Les célébrités du 19e siècle se produisaient dans l’immense auditorium du premier étage et un théâtre burlesque du nom de « The Starland » occupait le rez-de-chaussée. Le Monument National accueillait également des spectacles féministes et du théâtre Yiddish, et il est considéré comme le berceau de la lutte qui visa à établir le droit de vote des femmes au Québec. Après la seconde guerre mondiale, le Monument National a commencé une longue spirale descendante. La partie basse de la Main avait vu naître le superficiel quartier Red Light de Montréal, caractérisé par la prostitution effrontée, le jeu assumé et les trafics en tous genres. Le public choisit de se rendre dans les théâtres plus grands, plus sûrs et plus confortables de la rue Sainte-Catherine, condamnant le Monument National à sombrer dans l’oubli. La Société Saint-Jean-Baptiste, qui avait à l’époque des difficultés financière, déménagea en 1976. Pendant un certain temps, il sembla inévitable que le Monument National serait démoli. Mais après avoir évité miraculeusement et à plusieurs reprises le boulet de démolition, le Monument National fut déclaré comme un « bien culturel précieux » en 1976. L’École Nationale de Théâtre du Canada pris le contrôle du bâtiment et en fît une restauration complète de 1991 à 1993. 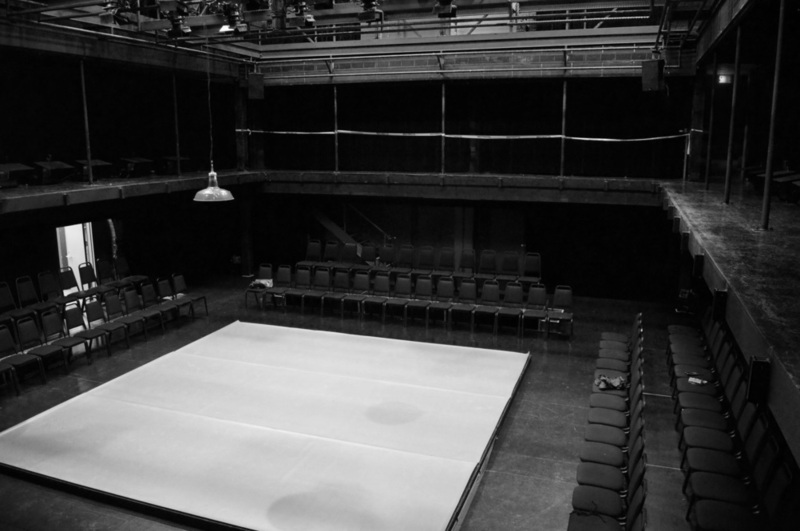 Aujourd’hui, un studio de théâtre intime occupe le sous-sol où se trouvait le jadis florissant Eden Musée et, selon le personnel et les étudiants, cette partie du bâtiment serait hantée.Ont été rapportés des claquements de tuyaux inexpliqués et des bruits étranges. Selon un article paru dans le journal Métro, le directeur technique de l’école, Yves Duceppe, était très réticent à y aller seul quand il y était étudiant, de 1979 à 1981. À l’époque, le sombre et non-rénové sous-sol était effrayant et infecté de rats et d’insectes. Il ne s’y est jamais aventuré tout seul. Apparemment, bien qu’il ait été converti en un studio de théâtre très polyvalent, les mystérieux phénomènes de hantises continuent. De nombreux étudiants ont rapporté de troublants sentiments de malaise et avoir été observés par quelqu’un ou quelque chose tapi dans les recoins sombres du studio. De plus, deux étages au-dessus du studio, il y a aussi eu de nombreux rapports d’un fantôme de femme qui apparaitrait en haut de l’escalier menant au théâtre principal du Monument National. Il se murmure parmi les étudiants en théâtre que le fantôme qui hante le Monument national ne serait nul autre que Sarah Bernhardt, une des plus grandes actrices françaises de son époque. Bernhardt se représentait à Montréal et à Québec et elle était connue pour la colère qu’elle attirait des autorités catholiques de par ses prestations qui se voulaient très critiques envers l’Église. La théorie voudrait que Bernhardt hanterait le Monument National parce qu’en 1905 elle avait voulu y jouer mais qu’en raison de contraintes budgétaires elle avait finalement choisi de se représenter au Théâtre Français, à peine à 5 minutes à pied de ce qui est aujourd’hui le Club Metropolis. Bien qu’on la disait être « la plus célèbre actrice que le monde ait jamais connue », Bernhardt était une actrice excessivement excentrique. Elle présentait plusieurs phobies étranges, telles que la peur d’être enterrée vivante, de devenir mince, de vieillir sur scène tout en perdant sa fascinante et presque inquiétante beauté. Pour surmonter sa peur de l’inhumation prématurée, on raconte que Bernhardt aurait dormi dans un cercueil inconfortable pendant plusieurs années. Elle aurait également gardé le squelette d’un homme dont elle disait qu’il était mort d’amour, accroché devant le miroir de son effrayant boudoir, avec son doigt pointant vers sa propre réflexion. 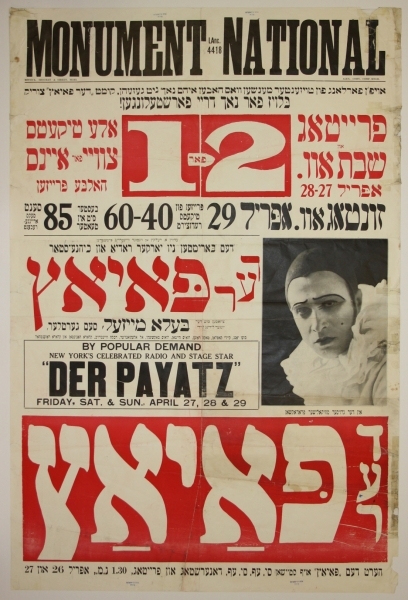 Quand Bernhardt mourut d’urémie en 1923, les arrangements funéraires furent simples. Elle avait fait construire son tombeau des décennies avant sa disparition, en 1889, dans le cimetière parisien du Père Lachaise. Est-ce que son fantôme serait retourné au grandiose Monument National, un théâtre où elle avait toujours voulu performer? 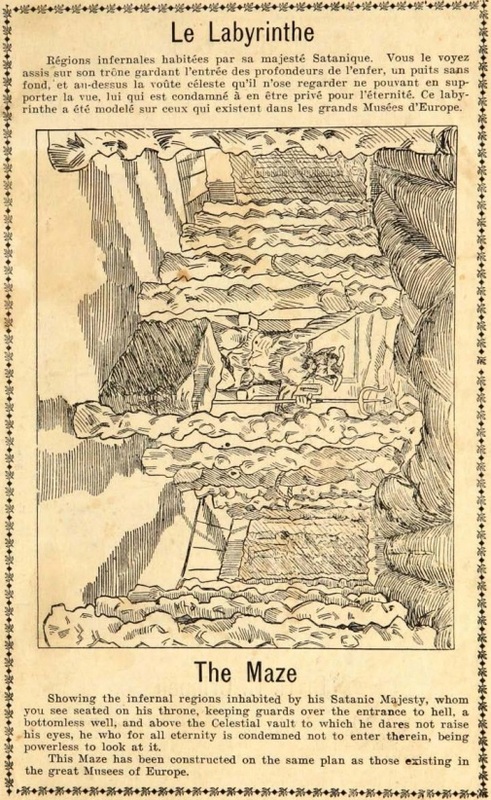 L’image fantomatique aperçue au sommet de l’escalier principal du théâtre pourrait être la sienne. Cependant, qu’en serait-il des mystérieux bruits dont les claquements de tuyaux, et des sentiments d’inconfort qui hantent le « Studio Hydro-Québec »? Il semble peu probable que le fantôme d’une actrice tranquille puisse causer un tel chahut. Une théorie qui serait plus plausible serait que ces bruits soient causés par l’esprit d’Édouard Beaupré, le géant dont le cadavre embaumé avait été exposé sans ménagement parmi les personnages de cire de l’Eden Musée. On a l’habitude de dire que les morts n’aiment pas être insultés et les restes de Beaupré ont subi de nombreuses profanations. Après s’être vu refusé une sépulture auprès de sa famille en Saskatchewan et avoir été rempli de formaldéhyde, son cadavre a été transformé en curiosité de Freakshow pour être troquée et expédiée au plus offrant. De la Foire Mondiale de Saint-Louis à l’Eden Musée de Montréal, les restes de Beaupré furent empreints d’émotions fortes jusqu’à ce qu’ils soient finalement abandonnés dans un entrepôt poussiéreux. Récupéré par le personnel médical de l’Université de Montréal, son corps a subit encore plus d’indignités jusqu’à ce qu’il soit finalement récupéré par sa famille en 1989. Édouard Beaupré, géant et fort dans la vie, serait certainement capable de faire beaucoup de bruit. Ainsi, une théorie qui serait davantage probable concernant le fantôme qui hante le studio du sous-sol serait que l’esprit inquiet des restes du Géant Beaupré chercherait constamment à rappeler son périple contre-nature à ceux qui osent s’aventurer dans le studio, en tambourinant sur les tuyaux, en faisant du bruit et en dévisageant les gens depuis les recoins sombres. Après tout, se voir refuser une sépulture pendant 85 ans rendrait n’importe quel esprit inquiet et enclin à hanter les endroits où ses restes se virent manquer de respect. Située au cœur du nouveau Quartier des Spectacles, l’Église évangélique St. John se distingue de par son toit rouge clinquant. Ce que les milliers de touristes qui l’environnent durant la saison des festivals ne réalisent surement pas c’est que l’église anglo-catholique au toit rouge est réputée hantée depuis fort longtemps. Cependant, au lieu des troublantes zones froides et autres déplaisantes manifestations paranormales, l’esprit qui hante l’église est décrit comme doux. En effet, des « zones chaudes » réconfortantes sont connues pour se matérialiser, conduisant les paroissiens à envisager que le fantôme soit nul autre que le fondateur désintéressé, Rector Edmund Wood, qui mourut en 1909. On dit qu’il la visite encore de temps en temps pour veiller sur les fidèles. Le fantôme n’est pas considéré comme sinistre mais plutôt vu comme un heureux rappel que le premier protecteur de l’égliseest toujours impliqué dans les saints ordres.